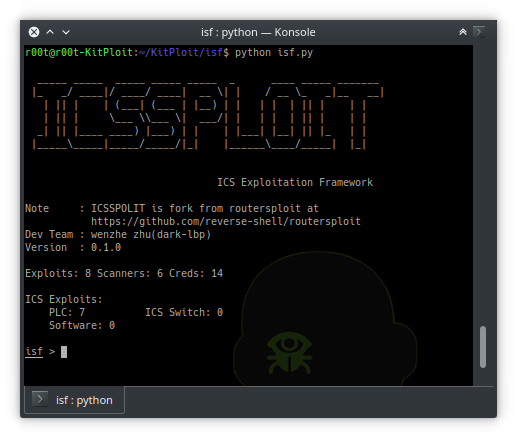 ISF(Industrial Exploitation Framework) is a exploitation framework based on Python, it's similar to metasploit framework. These protocol can used in other Fuzzing framework like Kitty or create your own client. You can use the tab key for completion. slot        2                    CPU slot number. command     1                    Command 0:start plc, 1:stop plc. Use S7comm command to start/stop plc.